This week Google unveiled its latest Android operating system along with three new devices that will undoubtedly have Android fanboys salivating. However the expected price points will likely put many people off despite the high specifications of the new offerings from the Chocolate Factory. Security has been upgraded with all new devices being encrypted by default. But on the surface the changes will also be apparent with a slicker more customizable user interface. Google also talk of better information sharing across devices [BBC / Googlebog]. While Lollipop certainly looks promising, it is the three new devices that have got the Android community excited [BBC / D Mail]. First up is the much talked about Nexus 6 phone made by Motorola. This new device has been described more as a phablet than a phone given it falls halfway between the size of an average smartphone and a tablet device . Coming in at 159.3 x 83 x 10.1mm and with a nearly 6 inch [150 mm] display, one will certainly need big pockets and large hands. And while some people on web forums have questioned the size of the device, phablets are becoming more popular. Indeed the Galaxy Note was particularly popular, especially amongst business people who demanded the flexibility of a tablet like device with the functionality and more notably the connectivity of a smartphone. In fact the Galaxy note and Nexus 6 have almost identically sized screens [5.7 inches and 5.96 inches respectively]. However the Nexus 6 is in a different class when looking under the hood, though the cameras are arguably better on the Galaxy Note [BetaNews]. Some have unsurprisingly begun to compare the Nexus 6 with the iPhone 6+. Even here the Nexus 6 beats the Apple device on almost everything. 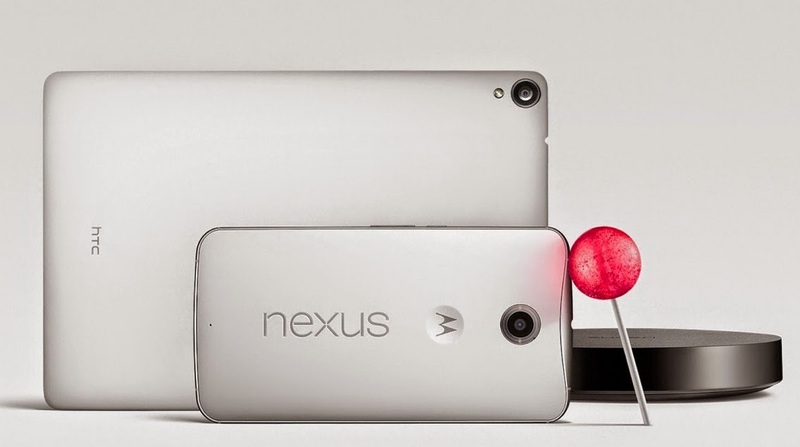 However Apple offers 16, 64 and 128GB devices while the Nexus 6 only comes in 32 and 64GB. And while design may be a factor for some, the Nexus 6 certainly appears well crafted [ITProPortal / GottaBeMobile / Independent]. The most important consideration is of course cost. A SIM free iPhone 6+ will set you back around £619 for the 16GB model with the 64BG device costing £699 and the 128GB version pricing in at £789. While only US prices have been published thus far, Google's Nexus 6 will cost $649 for the 32GB device and $699 for the 64GB model. This would equate to around £406 and £437 respectively, though tax, import costs and other factors could swing these figures either way - though more likely upwards. However with the Samsung Galaxy Note 4 currently priced at around £400 for a 32GB model, even these price points are certainly competitive [IBT]. Nonetheless, Google has received a fair bit of criticism for its apparent departure of marketing affordable yet powerful Android devices [Google+]. After the success of the Nexus 7 tablets, Google has jumped a number and released the Nexus 9. Again the specifications are excellent, and the new tablet even supports a specially designed optional keyboard. However, the price of the HTC manufactured device is once again likely to make many people, even Nexus fans, balk at spending out so much on a tablet. It could well be argued that Google are attempting to offer better, premium quality products. But in so doing there is a cost both in terms of the product itself and of alienating loyal fans. Again only US prices have been published but it is estimated that consumers could be looking at paying £330 for the 16GB tablet, £400 for the 32GB device and around £500 for the 32GB model which comes with 4G connectivity. The official Google Keyboard Folio case, for the soon to be released Nexus 9, is of course an optional extra. The device is held in with magnets, pairs with the tablet using NFC and turns the tablet on and off when opened and closed. The keyboard has mechanical keys, and while needing a separate charge is said to last months between charges. The price is as yet unknown, but given the price points of the aforementioned gadgets it is unlikely to be cheap. A real Android fanboy could well be expecting to shell out around £1,000 if purchasing both the top spec versions of the Nexus 6 and Nexus 9. Even if grabbing the lower spec versions one will still be looking at a little over £700. It is perhaps unsurprising that many users have expressed their likelihood of holding on to their Nexus 4, 5 and 7 devices, at least for the time being. The good news is that all these devices will still receive the Lollipop update in the coming weeks. The one device that made less of an impact in the news is the Nexus Player, Google's latest foray into TV. Built by Asus it allows users to stream movies, music and videos to through an HDMI connection. It also acts as an Android gaming console if used in conjunction with an optional Bluetooth gamepad. There's no news on the price of the gamepad as yet but the Nexus Player will cost around $99 or about £69. Google are also planning to invade the car with built in Android devices offering navigation, music and telecommunications. Dubbed Android Auto Google describes its plans to incorporate its OS into the car as having been designed with safety in mind. "With a simple and intuitive interface, integrated steering wheel controls, and powerful new voice actions, it's designed to minimize distraction so you can stay focused on the road," Google says. A number of manufacturers have expressed interest with several already incorporating the new technology in its latest models. It remains to be seen whether one will be able to retrofit older models. As for the release dates on Google's latest gadgets, they should hit online and physical stores in November. Pre-orders for the Nexus 9 and Nexus Player start on October 17th, but Nexus 6 pre-orders are not expected until October 29th. The devices will not start shipping until early November which at least gives consumers a couple of weeks to start saving! Halloween: harmless fun or a growing menace?